Pradosh Vrat is observed on both Trayodashi Tithis, i.e. Shukla Paksha Trayodashi and Krishna Paksha Trayodashi, in lunar month. Some people distinguish between Shukla and Krishna Paksha Pradosham. As per the Skanda Puran there are two different methods of fasting on the Pradosh vrat. In the first method, the devotes observe strict fast for whole day and night, that is, 24 hours and which also includes keeping a vigil at night. In the second method the fasting is observed from the sunrise until sunset, and the fast is broken after worshipping Lord Shiva in the evening. Pradost Vrat is considered very auspicious and an important vrat among all the other vrata. It is also said that worshiping Lord Shiva on this day washes all your sins and an individual can obtain moksha or mukti after death. Accordingly, keeping Pradosh vrat or donating two cows get the same rewards. It is believed that the person who perform vrat on Pradosh dates “Lord Shiva will be his”. On the day of Pradosham, the twilight period that is the time just before sunrise and sunset is considered to be auspicious. 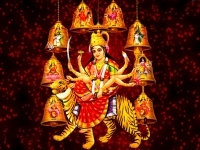 All the prayers and pujas are observed during this time only. One hour before the sunset, the devotees take a bath and get ready for the puja. A preliminary puja is performed where Lord Shiva is worshipped along with Goddess Parvati, Lord Ganesh, Lord Kartik and Nandi. After which there is a ritual where Lord Shiva is worshipped and invoked in a sacred pot or ‘Kalasha’. This Kalasha is kept on the darbha grass with lotus drawn on it and is filled with water. In some places, the worship of the Shivling is also performed. 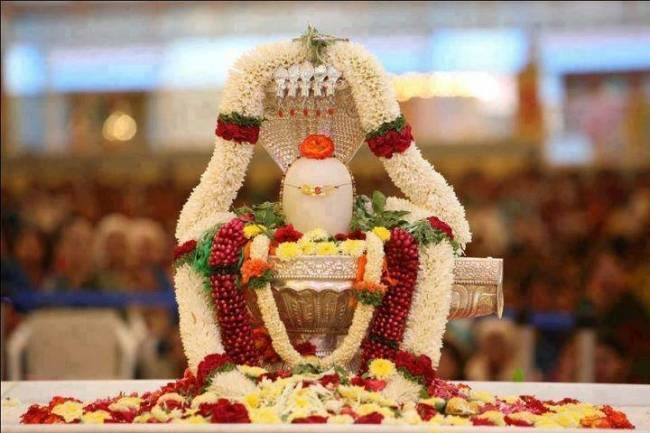 The Shivling is given a bath with sacred substances like milk, curd and ghee. The puja is performed and the devotees offer Bilva leaves on the Shivling. Some people also use a picture or painting of Lord Shiva for worshipping. It is believed that offering Bilva leaves on the day of Pradosha vrat is highly auspicious. After this ritual, the devotees listen to the Pradosha vrat katha or read stories from the Shiva Purana. The Maha Mrityunjaya Mantra is enchanted 108 times. After the puja is over, the water from the Kalasha is partaken and the devotees apply the sacred ash on their forehead. 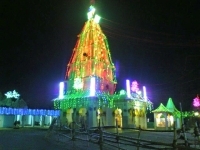 After the puja, most of the devotees visit the Lord Shiva temples for darshan. It is believed that lighting even a single lamp on the day of Pradosham is very rewarding. The benefits of the Pradosha vrat are explicitly mentioned in the Skanda Purana. It is said that one who observes this revered fast with devotion and faith is bound to possess contentment, wealth and good health. This vratham is also observed for spiritual upliftment and fulfilment of one’s desires. The Pradosha vrat has been greatly lauded by the Hindu scriptures and is held very sacred for the followers of Lord Shiva. It is a known fact that even a single glance of the deity on this propitious day will end all your sins and bestow you with bountiful blessings and good fortune.